"The Force, it's calling to you. Just let it in." The countdown is on, with weeks left until Star Wars: The Force Awakens arrives in theaters everywhere. Star Wars Mania is kicking in full force, and one of the perks is that we get to see a lot of great artwork for the new movie (and the old ones, too). Like these three new posters below that we're featuring - two made by fans, one an actual official IMAX poster. It's going to be hard not to reveal too much or spoil anything from the movie of the next few weeks - but rest assured these posters don't spoil a thing. I've got tickets for Thursday night lined up, now we must just wait it out. 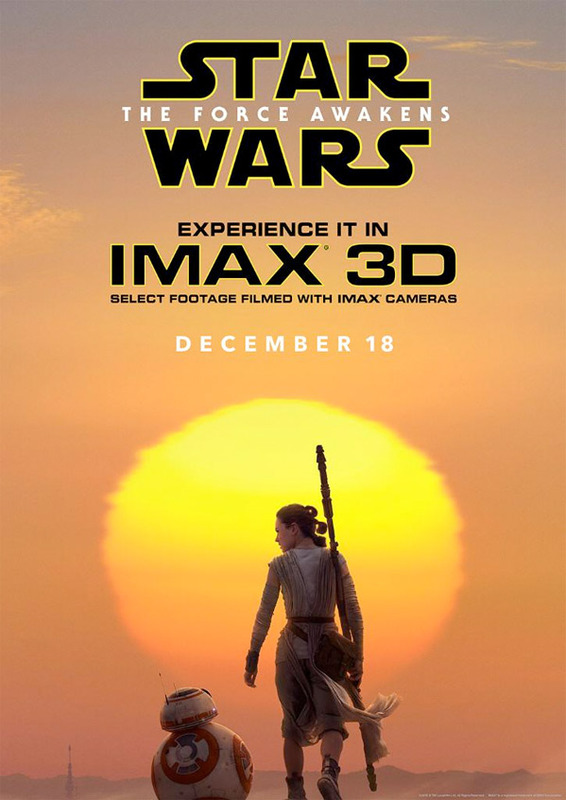 "EXPERIENCE IT IN IMAX 3D" ruins the last one. 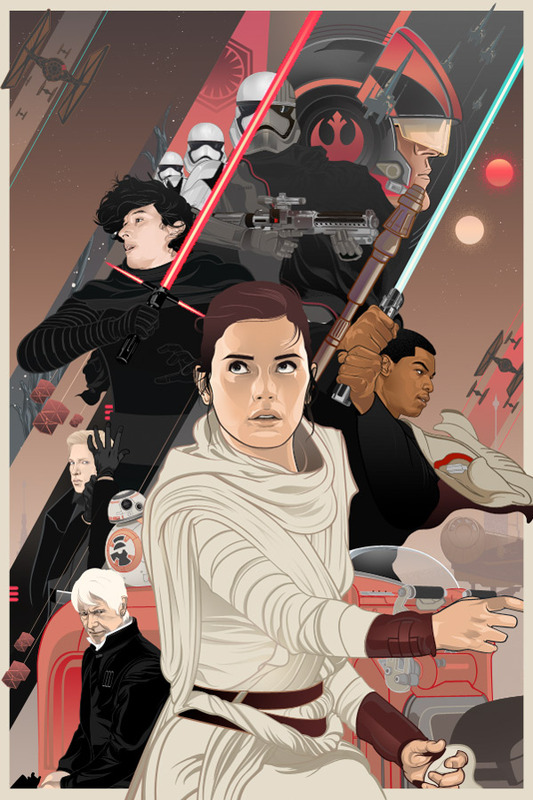 Any one know who that little fella is to the left of BB8 (on the first poster)? Lupita Nyongs character, The one that speaks about eyes in the last trailer. Whoa, finally there's Luke in a promo! Love that first poster. A fan made poster, not an official movie promo poster. Keep that in mind. Yes...on fan made posters, not official ones. So it's still all just speculation. Anyway, have a great day! Still. If you think Luke is Kylo then you're just plain stupid. 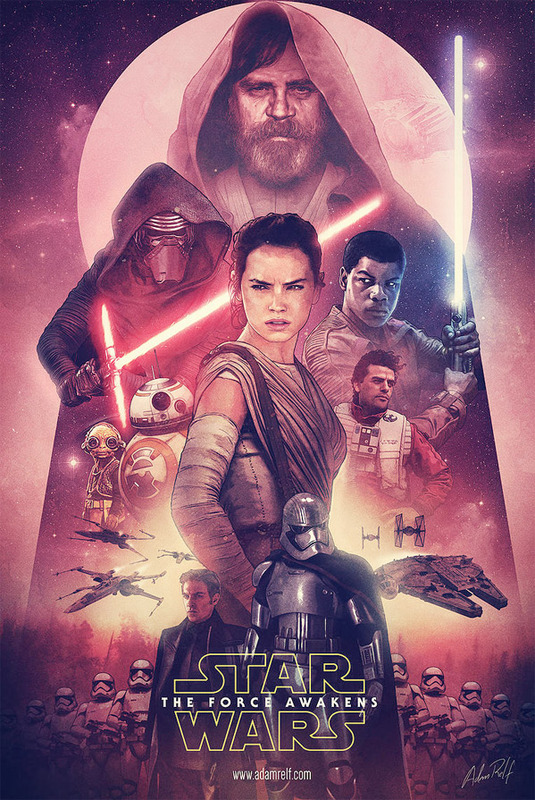 Regardless that it is a fan made poster HOW can people think Kylo Ren is Luke!? He's played by Adam Driver, they showed a promo pic of him without the helmet in Empire months ago, there's a shot of his long black hair about to fight Finn in a trailer, he's a good foot and a half taller than Luke, I just don't get it! It feels like a big joke I'm not in on. Of course it could be peoples fear that Luke won't be in the film because of the trailers and are using Kylo to make themselves feel hope/better. He will be in the film, old and living alone. Sounds about right! What I loved about Luke's take on a Jedi was that he really didn't how a Jedi should behave, socially I mean. He was on the light side but was more Rock'n Roll about it. He wore black, made violent threats, and chocked mean pig-men to death if they stood in the way of saving his friends. People can interpret that as evil but I just see it as how he, as a Jedi Knight, had to handle himself in possibly the WORST time be a Jedi to survive and defeat evil. Besides the Jedi killed tons of people in the Clone Wars!